Confused choosing Android phones Samsung brand? In the next few months, it seems you will be confused with so much variety provided by the South Korean company. 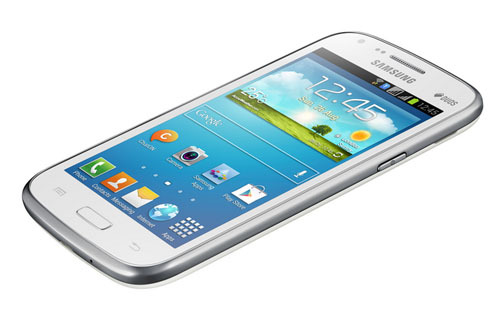 According to reports from Russian site Hi – tech.mail.ru, Samsung is preparing new mobile phone, the Galaxy Core 2. This phone is the successor of the Galaxy Core. In addition, the Galaxy ‘s Core 2 will be equipped with support for dual SIM card and use the Android KitKat 4.4 Operating system. There is also a quad-core processor speed of 1.2 GHz on this phone. Unfortunately inside in this products, the performance of the processor that is supported only 512MB of RAM and 4GB of internal memory. Furthermore, this phone will have a screen measuring 4.5 inches with a resolution that is not privileged , 480 x 800 pixels. This phone is also equipped with a 5MP main camera on the back and a VGA camera on the front. A battery capacity of 2000 mAh is also pinned on the back of the phone. Regarding the price, this phone will most likely be pegged with a tag of 277 USD. I think this price its good for middle class user. Regarding its official launch, the phone is likely to be introduced to the public in May.